In this paper we discuss architectural design issues and trade-offs in connection with our experiences porting our agent-based platform, Opal, to the Sharp Zaurus personal digital assistant (PDA). At the present time, the Zaurus is able to run the Java-based Opal platform with RMI, HTTP and JXTA (but not JXME) as message transports. There were many adjustments that had to be made in order to establish JXTA functionality over Java Personal Profile on the Zaurus systems, but it may be an easier process in the future if some of these changes are incorporated into the JXTA standard. The wireless and Bluetooth capability of the Zaurus make it ideal for bridging the gap between Bluetooth networks and traditional networks. The extension of mobility to distributed Agent-based systems will be a significant growth area in future agent research, and the Zaurus PDA a glimpse into the future functionality that mobile distributed agent applications may provide. 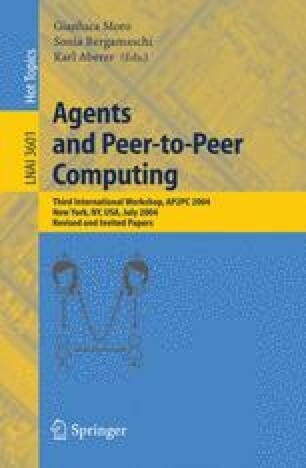 We also discuss how Opal’s unique support for micro agents may facilitate the deployment of advanced agent systems on future medium- and small-footprint devices.